Our churches are often used for funeral services. For more information, please call the office. Please click here to see our 2018 Cemetery Fees and Charges. For more information about reserving a space in the columbarium, please email the office. Our cemetery at St James in Ranelagh is not currently taking any new bookings or burials. 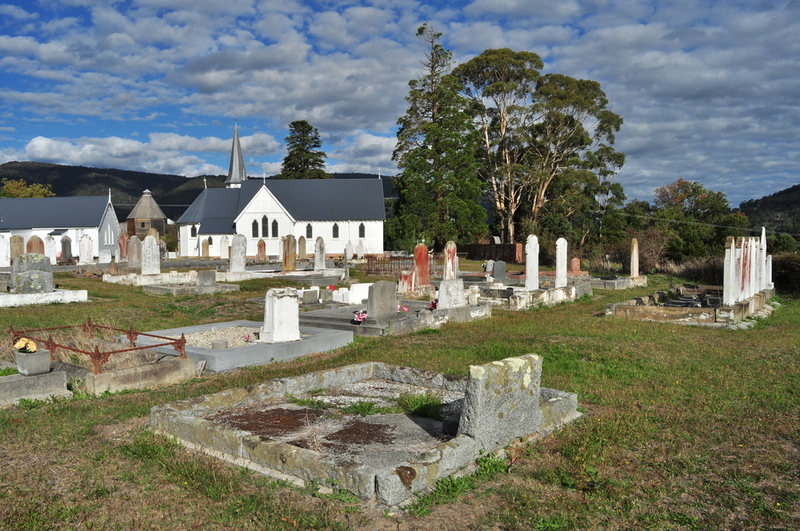 For information about cemeteries owned by the Huon Valley Council, please click here. For information about our graveyard, please click here. Information about who is buried in these cemeteries can be found at gravesoftas.com.au - and then search for the relevant cemetery. A copy of the cemetery plan, interment register and open entries in the exclusive right of burial register are available for St John’s Franklin upon request (see ‘contact us’). Please click here to see our cemetery fees and charges.